Ask Dave Taylor: Disable Carrier IQ Data Tracking On Your iPhone? I’ve been reading about the privacy mess surrounding Carrier IQ, a company that apparently supplies diagnostic software for cellphones, and am anxious about my privacy. I have an iPhone and Apple has variously said that they have it, that they don’t have it any more, and that they still have it but are going to remove the Carrier IQ utility. What’s the story and how can I disable it on my new iPhone 4s? I’ve read all about the Carrier IQ debacle and think that it’s a really big mountain made out of a tiny molehill. Think about it, how many calls, how many text messages are sent to/from smart phones on a given day? Tens of millions or more. With that huge tsunami of data, is it realistic to believe that they’re capturing the personally identifiable information and doing some sort of data mining? Then again, I long ago accepted the dictum proposed by Bill Joy when he said “privacy is dead. get over it.” so it’s quite possible I err on the side of being too lenient and unconcerned about the privacy and security of my personal data. However you view the diagnostic information that CarrierIQ captures on behalf of the different cellular carrier services, the good news is that Apple planned ahead and iOS 5 does indeed have the ability for you to disable sending diagnostic data from your iPhone. 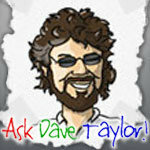 Ask Dave Taylor Apple, ask dave taylor, iphone. permalink. Ask Leo: Can I remove Internet Explorer if I never use it? Take a look at PC Magnum. Trying to find out info on how to stop “Tracking”. Read article in magazine about cookies being tracked for marketing purposes…. this REALLY shouldn’t be allowed!